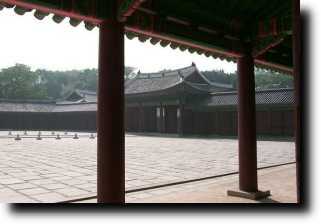 At the time of establishment by King Taejong, the Changdeok Palace was not intended to perform as a main palace but a detached one. However, of the five main palaces, the most monarchs resided and ruled the country at this palace throughout the Joseon Dynasty. The last council in the royal presence of the Daehan Empire (the name of the newly established regime of the Joseon Dynasty existing from 1897 till 1910) was held here in August 29, 1910. The most absorbing attraction of the palace is its refined Rear Garden, which has been called Biwon (Secret Garden). It contains a multitude of traditional garden architectures, including wooden pavilions, ponds, splendidly patterned walls, stone-made or wooden bridges over the clean streams and so on. All the artificial structures are designed in harmony with the natural setting, which is typical of the Korean architectural philosophy. 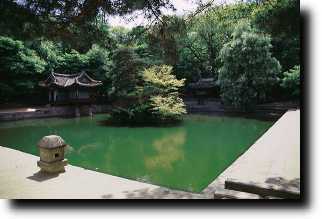 In 1996 the UNESCO designated the palace and its rear garden as a World Heritage.